This low-cost press allows our customer to test their circuit boards without the expense of high-cost clamshell fixtures. OSHA-comliant palm switches close the press. A 'start' signal is sent to the testing equipment to start the test cycle. 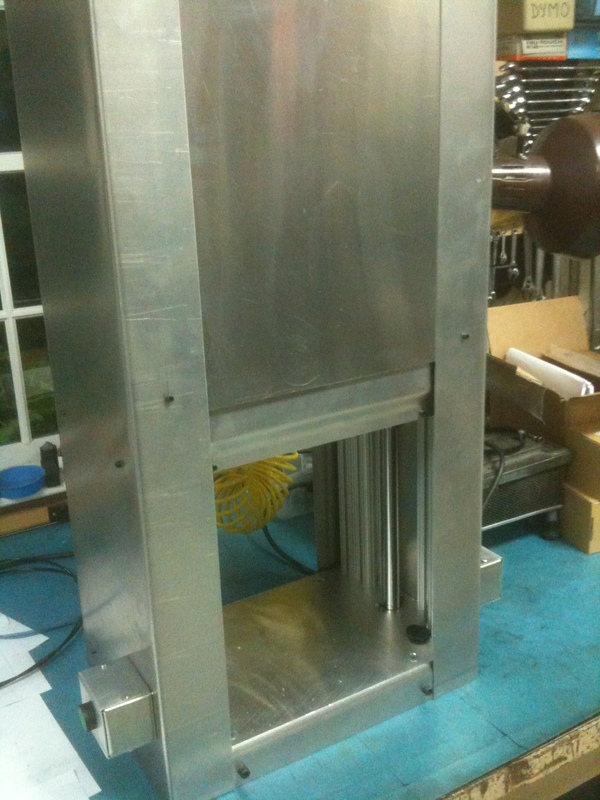 When the test cycle is completed the press opens up for easy removal of the tested board. We can adapt this design to any testing equipment including testers from other vendors. We can make this model in a very wide range of sizes to accomodate anything from the smallest PCB to the largest backplane. The press easily pays for itself by replacing complicated and expensive mechanical fixtures with a simple two-plate fixture design. Additional savings are achieved by the increased throughput and lower level of fatigue experienced by operators.